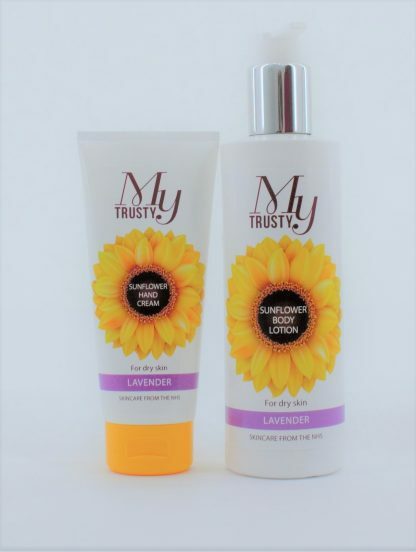 NHS Skincare, My Trusty, Sunflower Body Lotion with Lavender (250 ml) is a gentle moisturiser to keep your body soft and supple for up to 24hrs. Rich in essential skin improving vitamins E, F and K, this is the ideal skincare to calm and nourish, dry skin. 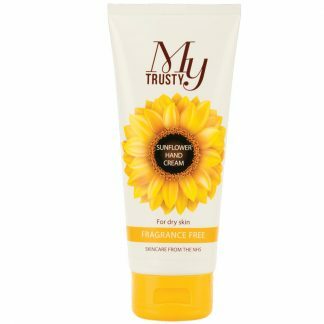 ‘Freefrom’ lanolin, parabens & SLS. 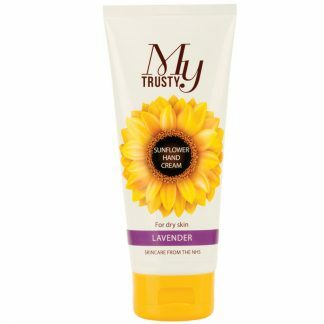 NHS Skincare, My Trusty, Sunflower Hand Cream with Lavender (100 ml) is the perfect handy-sized moisturiser to keep your hands soft and supple for up to 24hrs. Rich in essential skin improving vitamins E, F and K, this non-greasy and highly absorbent skincare, will nourish and soften even the driest of hands. ‘Freefrom’ lanolin, parabens & SLS. Blended with essential oil of lavender, this naturally active formula has been clinically proven to help improve the appearance of blemished skin, i.e. scar tissue or stretch marks. Dermatologically tested & paediatrician approved. Suitable for all ages including people who may be prone to eczema and other similar dry itchy skin symptoms. 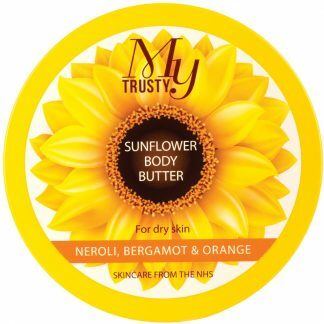 Owned and developed by the NHS (Salisbury hospital), all profits from every purchase are reinvested back into NHS patient care.